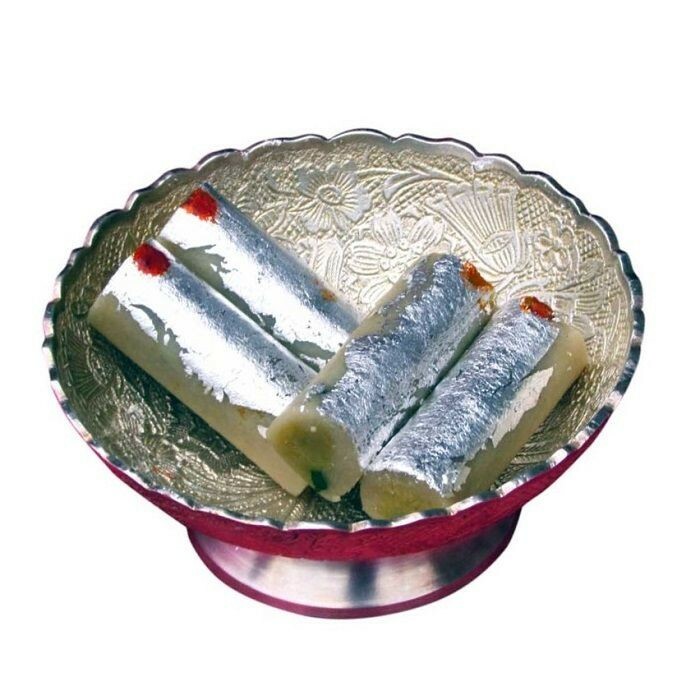 Buy Kaju Pista Roll of Laxmi Mishthan Bhandar from Jaipur online | Authentic Indian Sweet , Savories and Delicacies from the place they originate by Moipot. Laxmi Misthan Bhandar (LMB) has sumptuous range of sweet options which definitely do justice to India ka mitha swaad. Indulgence was never such a discovery with this colorful kaju pista roll which is a roll neatly made out of cashews (kaju) and Pista (pistachios) coated with silver. Simply delicious!